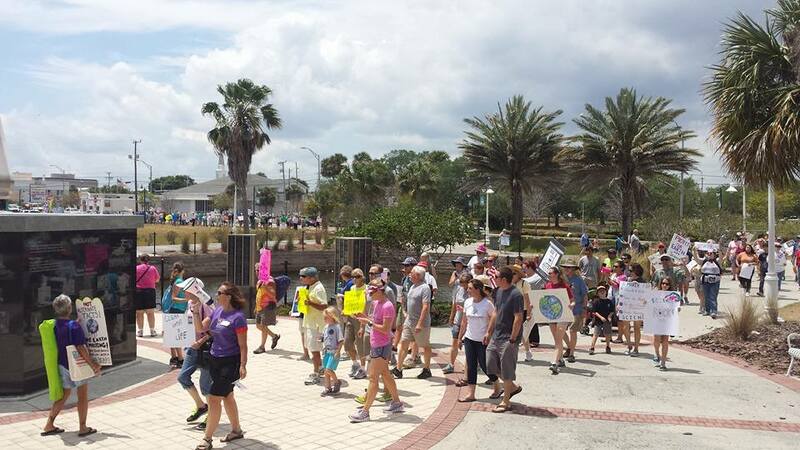 The March for Science events across Florida were awesome! 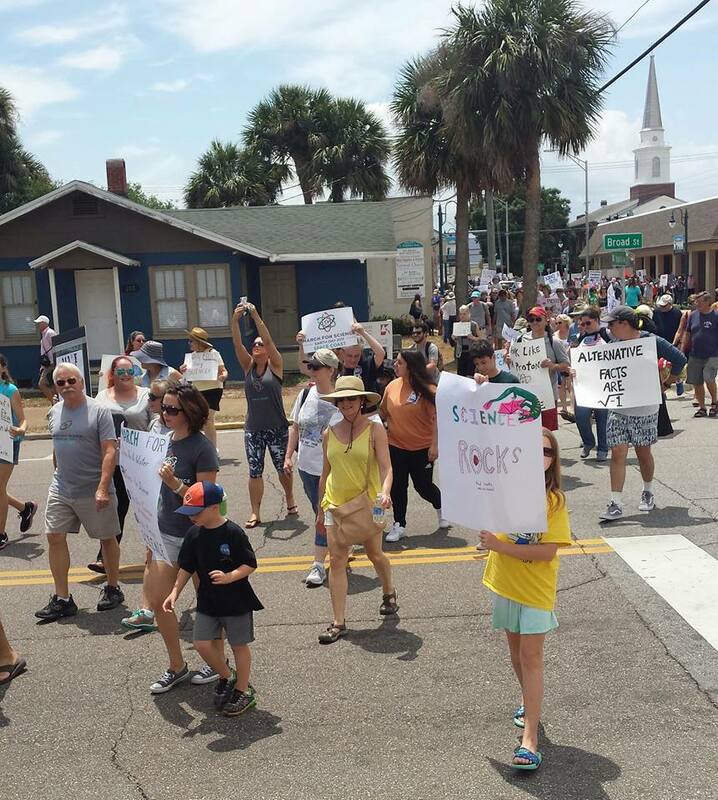 I attended the Space Coast March and I was genuinely excited to see how many folks attended. From the front of the march I could look back and see the mass of chanting and sign-waving people stretching out for blocks behind us. This definitely wasn’t some minor protest with a handful of die-hards. This was, in fact, a movement. And that was just from my view in Titusville. The same big crowds were seen all across Florida and the country. Check out these two photos I took. I tried to capture the size of the march as best as I could. In the first photo you can obviously see the marchers in the foreground, but then also look in the distant background: more people! “Science is inherently apolitical. There are facts, and then you make decisions based on those facts,” Emerson, 31, said. “Science isn’t about one side being good and one side being bad. Science is about one side being right and one side being wrong,” he added. It was the rallying cry for more than 4,000 people who attended Saturday’s March for Science in Tallahassee. People held signs saying, “Science will not be silenced” and “The truth has no party affiliation.” They came from as far away as Fort Lauderdale and were as young as a few months old. But they all held the same belief. We here at Florida Citizens say THANK YOU for supporting science. But don’t stop with one day of marching. Keep on marching!